Rosalie Abella was appointed to the Supreme Court of Canada in 2004. She is the first Jewish woman appointed to the Court. She attended the University of Toronto, where she earned a B.A. in 1967 and an LL.B. in 1970. In 1964 she graduated from the Royal Conservatory of Music in classical piano. She was called to the Ontario Bar in 1972 and practised civil and criminal litigation until 1976 when she was appointed to the Ontario Family Court. 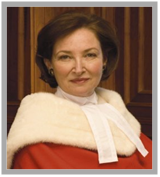 She was appointed to the Ontario Court of Appeal in 1992. She was the sole Commissioner of the 1984 federal Royal Commission on Equality in Employment, creating the term and concept of "employment equity". 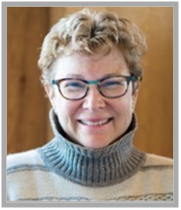 She subsequently served as Chair of the Ontario Labour Relations Board (1984 to 1989), Chair of the Ontario Law Reform Commission (1989 to 1992), and Boulton Visiting Professor at the Faculty of Law of McGill University (1988 to 1992). She also served as a commissioner on the Ontario Human Rights Commission; as a member of the Ontario Public Service Labour Relations Tribunal; as Co-Chair of the University of Toronto Academic Discipline Tribunal; as a member of the Premier's Advisory Committee on Confederation; and as Chair of the Study on Access to Legal Services by the Disabled. Justice Abella was awarded the Distinguished Alumnus Award of the University of Toronto Faculty of Law; the Distinguished Service Award of the Canadian Bar Association (Ontario); the International Justice Prize of the Peter Gruber Foundation; the Human Relations Award of the Canadian Council of Christians and Jews; the Honourable Walter S. Tarnopolsky Human Rights Award; the Bora Laskin Award for Distinguished Service in Labour Law. She has 35 honourary degrees. 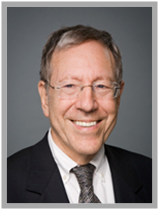 Irwin Cotler is the Member of Parliament for Mount Royal and the Liberal Party of Canada’s Critic for Rights and Freedoms and International Justice. He is also an Emeritus Professor of Law at McGill University, former Minister of Justice & Attorney General of Canada, and an international human rights lawyer. An international human rights lawyer, Professor Cotler has served as Counsel to prisoners of conscience--including Andrei Sakharov & Nathan Sharansky (former Soviet Union), Nelson Mandela (South Africa), Jacobo Timmerman (Latin America), Professor Saad Eddin Ibrahim (Egypt)--and he was Chair of the International Commission of Inquiry into the Fate and Whereabouts of Raoul Wallenberg. He is a Member of the International Legal Team of Chinese Nobel Peace Laureate Liu Xiaobo, and more recently became international legal counsel to imprisoned Saudi blogger Raif Badawi, Venezuelan political prisoner Leopoldo López, and Shi’ite Cleric Ayatollah Boroujerdi in Iran. 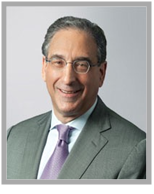 Peter M. Fishbein is a partner at Kaye Scholar LLP. Mr. Fishbein was Note Editor of the Harvard Law Review and a law clerk to Justice William J. Brennan, Jr., Associate Justice of the United States Supreme Court. He is a recipient of the Distinguished Community Service Award from Brandeis University and the Jurisprudence Award from the Organization for Rehabilitation Through Training (ORT). Mr. Fishbein is a Fellow of the American College of Trial Lawyers and the American Bar Foundation, a Director of the Brennan Center for Justice at New York University School of Law, and the I Have A Dream Foundation. Mr. Fishbein served as the Deputy Secretary General for the International Peace Corps from 1962 to 1964, Chief Counsel to the Committee on the Executive Branch of the New York State Constitutional Convention in 1967, Trustee of Goddard College from 1967 to 1975, and Adjunct Professor of Constitutional Law at New York University Law School from 1970 to 1984. 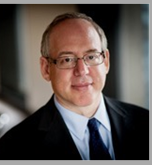 David Gruenstein has been a partner in Wachtell, Lipton, Rosen & Katz's Litigation Department since 1988. His practice includes complex civil litigation and regulatory enforcement matters. He has defended enforcement matters principally brought by securities regulators, and he has handled numerous internal investigations. He also provides compliance related advice to brokerage houses, investment banks and investment advisers with respect to U.S. and international operations. The clients he serves are primarily large public companies and securities firms. As part of his pro bono work, Mr. Gruenstein sits on the Board of Directors of the National Center for Law and Economic Justice. He also provides legal advice and representation to educational institutions. Mr. Gruenstein graduated from Columbia College with an A.B. in 1977 and received his J.D. from Harvard Law School in 1980. During 1978-1979, he served as editor of The Harvard Journal on Legislation, and as note editor from 1979-1980. Mr. Gruenstein is admitted to the Bar of New York, the United States District Courts for both the Southern and the Eastern Districts of New York and the United States Courts of Appeals for the Fifth, Seventh, and District of Columbia Circuits. He is a member of the American Bar Association and the Federal Bar Council. Eugene Keilin is a Co-Founder of KPS Capital Partners. Mr. Keilin previously served on the Board of Directors of Weirton Steel Corporation and numerous KPS Fund I and KPS Fund II Portfolio Companies. Mr. Keilin was also the founding Principal of Keilin & Co. LLC, a leading investment banking firm specializing in providing advisory services in connection with financial restructuring and bankruptcy transactions. Prior to founding KPS in 1997 and co-founding Keilin & Co. in 1990, Mr. Keilin was a General Partner of Lazard Frères & Co. Mr. Keilin was formerly Chairman of the Municipal Assistance Corporation for the City of New York, an agency created in 1975 to deal with New York City's financial crisis. He was Chairman of the Citizens Budget Commission from 1999 to 2002. Mr. Keilin graduated from Rice University and Harvard Law School. Michael Kessler is a partner at Proskauer Rose LLP in the Business Solutions, Governance, Restructuring & Bankruptcy Group. Michael's practice focuses on the out-of-court restructuring and bankruptcy representation of large, public company chapter 11 debtors, most recently including Capmark Financial Group, Inc., LNR Corporation, Lehman Brothers and SemGroup. He also represents large creditors, creditors' committees and equity interests in bankruptcy cases, including in the chapter 11 cases of MF Global, Inc., Delphi Corporation, Pacific Gas and Electric Company, Avianca Airlines, Federal Mogul Corporation, Metromedia Fiber Network, Inc. In addition, Mr. Kessler has extensive experience in complex bankruptcy litigation, including matters involving fraudulent conveyance, substantive consolidation, debt subordination and recharacterization, and lender liability. Shalom Maidenbaum is a founding partner of Maidenbaum & Sternberg LLP and heads the Maidenbaum Property Tax Reduction Group. A Cardozo Law School graduate (and the parent of a Cardozo Law School graduate), he has concentrated his practice in tax certiorari and real estate transactions. Mr. Maidenbaum is a member of the New York State and Nassau County Bar Associations, Trustee of HAFTR School and Congregation Beth Sholom of Lawrence, and a Former Member of the Executive Board of Directors of the Peninsula Counseling Center and the Five Towns JCC. Jon O. Newman is a United States Circuit Judge of the U.S. Court of Appeals for the Second Circuit. He assumed senior status in 1997. At the time of his appointment in 1979, he was a United States District Court Judge for the District of Connecticut. Judge Newman was Chief Judge from 1993 to 1997. Judge Newman received his B.A. degree from Princeton University in 1953, and his LL.B. degree from Yale Law School in 1956. Eliezer Rivlin is the former Deputy President of the Supreme Court of Israel, from which he retired in 2012. After graduating from Hebrew University, he practiced law in Beer Sheva for seven years, representing governmental agencies, corporations and private clients. In 1976, he was appointed to be a judge in the Southern Traffic Court and in 1978, he was appointed as a Judge of the Court of the First Degree. In 1982, he was nominated to be a judge of the Southern District Court, where he served until he was appointed to the Supreme Court of Israel in 2000. He also served for over 20 years as a military judge of the Special Court Marshall and then as a judge and a Colonel at the Military Court of Appeal - all in the framework of the Military Reserve Forces. 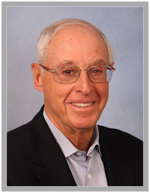 Professor Rivlin kept teaching in several academic institutes in Israel (Hebrew and English) and abroad (English), and took part in a variety of academic and professional activities and professional conferences. He has headed several national commissions, and conducted and supervised the recent general elections in Israel, where he was in charge of hundreds of employees. He headed the national elections committee composed of delegates from most political parties in Israel. The President of the State of Israel described the operation as "an efficient mission that was carried properly, respectfully, in a way that any democracy would be proud of." Professor Rivlin serves as the world president of The International Organization for Judicial Training which has 107 members from 67 countries from all over the world. Professor Rivlin served as a member of two commissions of judges appointments – state judges, including the appointment of Supreme Court Justices, and military judges. For six years he served as the Chairman of the Supreme Court Institute for Judicial Ethics and is now serving, inter alia, as the Chairman of the Supreme Court Institute for Legal clerks Ethics. He has taken part in several legal commissions initiated by the Court and by the Ministry of Justice. Michele Tocci is President of the David Berg Foundation, a New York City foundation established in 1994 by the late real-estate lawyer and philanthropist. The foundation supports programs in a wide variety of areas, including law, ethics, legal education, public policy, museums, and Jewish history, and it has provided critical funding in support of the Israeli Supreme Court Project. Ms. Tocci also serves on the board of directors of the New York Legal Assistance Group and the Center for Jewish History. Joanne Witty has served in New York City and New York State government, in the New York City Bureau of the Budget during Mayor John Lindsay’s second administration and in the New York City Family Court for the first State Administrative Judge. Ms. Witty practiced corporate and tax law at Debevoise and Plimpton, was Resident Counsel at the Ford Foundation and later managed a family manufacturing business. Joanne has been a long time environmental activist, serving for many years on the Board of the National League of Conservation Voters and on the Board of the Environmental Defense Action Fund. Ms. Witty has also has been a central figure in the creation of Brooklyn Bridge Park, serving as President of the park’s local development corporation that created its master plan and as a director of the Brooklyn Bridge Park Development Corporation, the government agency now building the Park.